When the Nazi’s came to power on the 30th January 1933 the first steps to concentration camps were taken. After the Reichstag was set on fire well prepared sting operations were held to arrest opponents of the Nazi’s and to put them into prison. Such great numbers of people were arrested and taken into prison that the existing prisons were soon overcrowded and alternative places were prisoners could be held needed to be established. 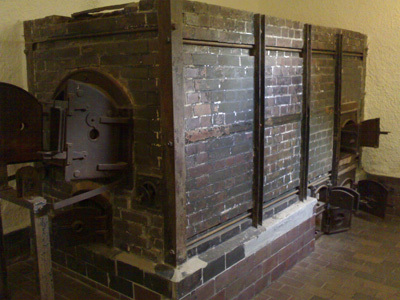 On the 21st March 1933 the first concentration camp was set up in an old gunpowder factory in Dachau (Bayern). It developed itself as the prototype of the National Socialistic concentration camp. 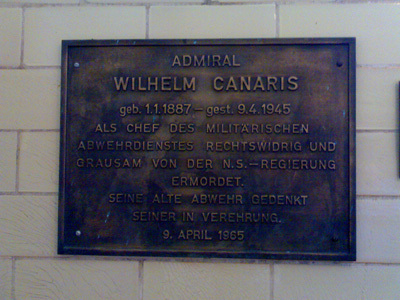 In the beginning of 1938 in Flossenbürg, close to the present Czech border, a similar camp was set up. This camp was built by prisoners form Dachau. 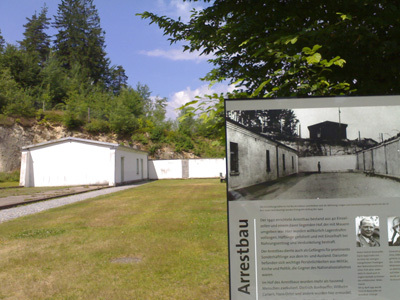 There were several reasons why Flossenbürg was chosen to house a concentration camp. For example because of the presence of large quantities of granite in this area and the availability of a railroad which one could use for the transport of granite, prisoners, troops and equipment. 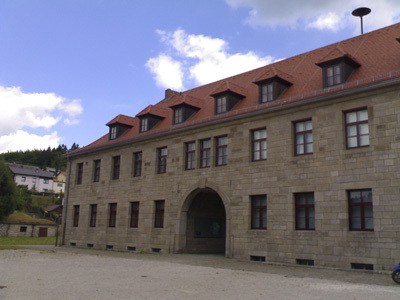 In 1934 more than 4.000 people were housed in Flossenbürg. Halfway 1944 a lot of Polish and Hungarian Jews were also taken to Flossenbürg. By the end of 1944 there were 8.000 prisoners housed in the camp whereas the camp was intended in fact for only 5.000 people. A lot of people were executed in the camp, among them some prominent people. On the 9th April 1945 Dietrich Bonhoeffer, Wilhelm Canaris, Ludwig Gehre, Hans Oster, Karl Sack, Theodor Strünck and Friedrich von Rabenau were killed here. 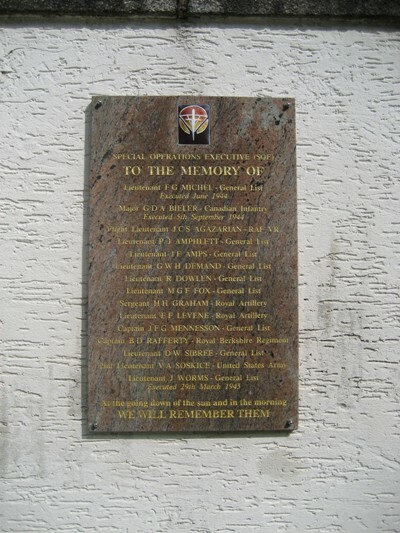 In May 1945 the camp was liberated by the Americans. After that it was for a time in use as a hospital for the surviving prisoners. 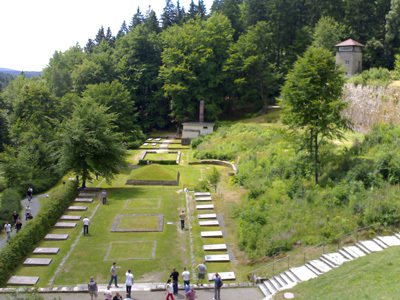 Soon it was decided that Flossenbürg should be preserved as a monument (Gedenkstätte) and a museum. Today you can find here the cemetery, the Kommandatur, a chapel, guard towers, a monument and an pyramid consisting of the ashes of the prisoners that died in the concentration camp.